MP Robert Goodwill said the school should be able to fine the students for unauthorised absence. MP Robert Goodwill has criticised two students' decision not to attend school to take part in an international youth strike to raise awareness of environmental issues. 15-year-old Murray Robinson and his brother Noah, 14, from St Augustine's School will be walking out of lessons on Friday to call on governments around the world to take action to tackle global warming. 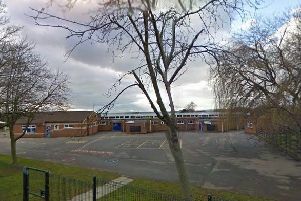 However, the town's MP has criticised the students' decision saying this shouldn't be an excuse to leave the classroom. He said: "I think students shouldn't take this as an excuse to skip school when this is something the school can't do anything about. "It's not within the powers of the school to address this issue and students shouldn't do something that's damaging to their education and shouldn't invite others to do something to damage their education. "In the same way as schools can charge parents £60 for unauthorised absence if they take their children on holiday, the school should be able to fine them. "As a member of the Environment Audit Committee I would be more than happy to talk to these students myself or visit the school during their break." Read more on the students' views here.